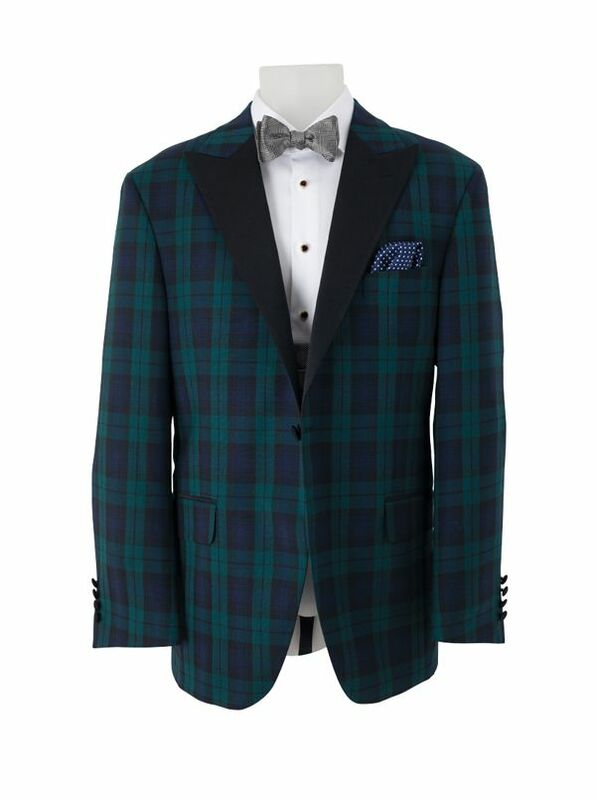 Duncan Tartan Dinner Jacket is a little bold, yet classic and understated in color and design. Tailored in Canada of lightweight wool woven in Italy. 1-button model, with black grosgrain peak lapels, full lining, side vents.